The song is also tied with Taylor Swift’s “Look What You Made Me Do” for the longest stint at No. 1 in 2017. Cardi B's "Bodak Yellow" has retained the No. 1 spot on the Hot 100 for the third week in row, making the Bronx native's breakout single the longest running No. 1 by a solo woman rapper ever, Billboard reports. The song surpassed Lauryn Hill's “Doo Wop (That Thing),” which held the top spot for two weeks in 1998. "Bodak Yellow" dipped to No. 2 on the Streaming Songs chart this week, with with 47.6 million U.S. streams, but gained ground on the Radio Songs chart, moving up one spot from No. 11 to No. 10. 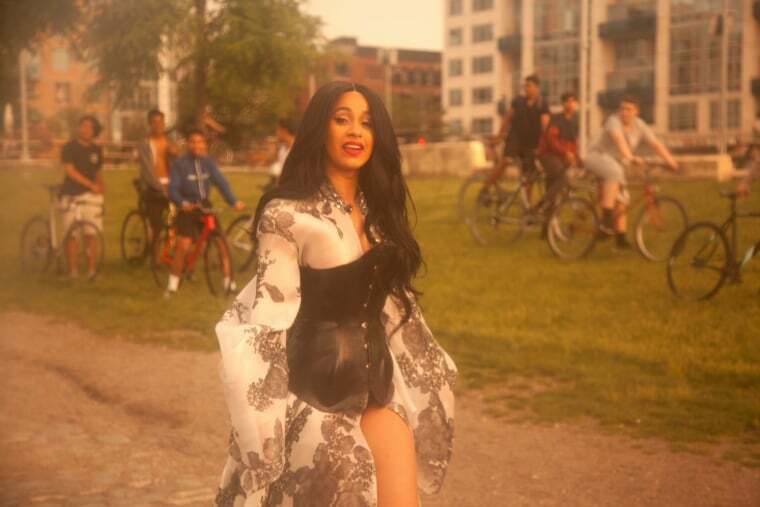 The track is Cardi B's first top 10 song on the Radio Songs chart. Elsewhere on the Hot 100, Post Malone's "Rockstar," featuring 21 Savage reached the No. 2 spot for the second week, while J Balvin's "Mi Gente" remix with Beyoncé jumped to No. 3.